Paul started programming in 1976 in the sixth form at school, learning CESIL and FORTRAN. The programming sheets had to be sent to a local computer centre; the results came back with punched cards! He taught IT in local colleges and the Open University for many years and currently is a freelance software developer. Paul has produced software for varied sectors including medicine, education, agriculture, defence and telecoms. One of his interests lies in techniques to produce robust software that meet customer expectations. He has been a Fellow of the Institution since 1994, and joined the Council in 1997, becoming Vice President in 2008. David served 13 years in the Royal Corps of Signals; this was where programming first took his interest. However on leaving the Army he graduated in Politics and Modern History. It was when he went to work for a large engineering consultancy that his computing skills began to be valuable. Projects were often overseas in developing countries, and he might find he was the only person with any IT skills. More recently David has moved into a UK-based development environment as a contractor working mainly in Project Management. He joined the Institution, as a Fellow, in January, 1991 and joined the Council in 1997. Graham joined the IAP as a member in 1989. He started off with auditing and accountancy work from 1976 to 1986, before moving into the private sector. He has worked in the food, motor and scientific industry. At present he is a director of a Stable Isotope Mass Spectrometer company. He previously served on the Council of the IAP from the mid-1990s to 2007 before rejoining in 2010. Graham is married and is involved with local community. John Ellis FIAP Cmpn, MBCSJohn began his career more than 25 years ago as a computer operator. Studying in his spare time he quickly progressed to programming, initially in the private sector. Then in 1987 John moved to local government and spent 9 years there before moving on again into Insurance. He now works in the financial sector, designing and writing software for ISAs, Savings Bonds and Child Trust Funds. Married with 4 children, John maintains an active interest in new technologies and writes occasional IT-related articles. 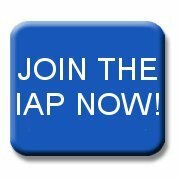 John became Technology and Communication director for the IAP in 2011. Edwin is one of the earliest Fellows still in the Institution, having joined in 1983. He has worked on instrumentation (medical and scientific), and financial and commercial software, as programmer, analyst, team leader and IT manager. He has been employed permanently, through agencies and on direct contracts, “in plush offices, baking portacabins, and down the leg of an oil rig”! Edwin feels very strongly that there is a bright future for the Institution if it can only fulfil its potential. Fortunately, in 1995, he joined the Council. 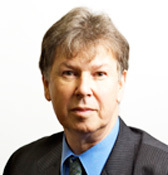 Alastair Revell is the Managing Consultant of Revell Research Systems, a management and technology consulting practice whose staff work throughout the United Kingdom and which he established in 1985. He is a Fellow of the Institution and has been a member since 1988. He was instrumental in establishing the IAP undergraduate prize scheme in 2008 and was elected to Council in 2009.He is a Chartered IT Professional and a graduate mathematician. His work in IT encompasses all aspects of software engineering, ranging from business analysis to systems development. He actively develops both Windows applications and database driven web sites, focusing on Microsoft .NET technologies. He also advises a wide range of organisations on IT strategy, helping them to align their technology with their business objectives and is involved in IT service management. Simon’s interest in electronics led him to study data processing at college, leading to his first IT role as a COBOL programmer in 1986. After some years in private sector organizations building systems and teams, he became an itinerant freelancer in 1995. Since then he has specialized in IT project management in the public sector. Simon has a particular passion for geospatial systems and saving the taxpayer money. He became a Member of the IAP in 2005 and joined the Council in 2008. Martin has 22 years of commercial IT experience, mainly in the area of database programming. His applications knowledge includes warehouse inventory management, sales order processing, property information, broadcast transmission scheduling, and employee scheduling systems. His career has involved assignments in the UK, USA, Germany, Italy, Poland, and the Czech Republic. In his local community, Martin is also active as a secondary school governor. He is married with three children.